Learn to Surf with Surf & Sun at one of SA's safest surf beaches - Middleton Beach. Lessons are available at multiple times each day and include wetsuit, rash top, suncream and surf board. Learn to Surf with Surf & Sun at the closes surf beach to Adelaide - Moana Beach. Lessons are available at multiple times each day and include wetsuit, rash top, suncream and surf board. Bike Hire from Middleton is available daily on demand. We have a fleet of cruisers and 24 speed mountain bikes that are well maintained and hires include helmet, pump, lock and a bottle of water. This program is for 6 weeks, includes 6 lessons with expert instructor and is a progressive style program. Learn to Surf with Surf & Sun at one of SA's safest surf beaches - Moana Beach. Lessons are available at multiple times each day and include wetsuit, rash top, suncream and surf board. 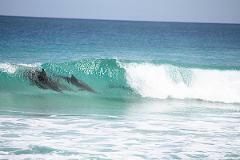 Learn to Surf with Surf & Sun at one of SA's great surf beaches - Long Beach, Robe. Surf Grom Programs are available during school holidays and include wetsuit, rash top, suncream and surf board. 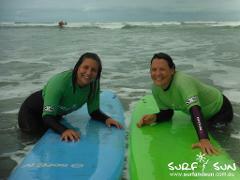 Learn to Surf with Surf & Sun at one of our great locations including Middleton, Moana and Robe. Multi lessons packs are a great way to improve your surfing and you save money too! Packs include wetsuit, rash top, suncream and surf board. Learn to Surf with Surf & Sun at one of SA's safest surf beaches - Long Beach, Robe. Lessons are available at multiple times each day and include wetsuit, rash top, suncream and surf board. Learn to Surf with Surf & Sun at one of SA's safest surf beaches - Long Beach, Robe. Lessons are available at multiple times each day throughout the holidays and include wetsuit, rash top, suncream and surf board. Learn to Surf with Surf & Sun at the closest surf beach to Adelaide - Moana Beach. Lessons are available at multiple times each day and include wetsuit, rash top, suncream and surf board. PLEASE NOTE - BEFORE BOOKING MOANA HIRES PLEASE CALL 1800 786 386 TO CONFIRM WHEN WE WILL BE AT THE BEACH. Hire a surf board and / or wetsuit from our trailer when lessons are on at Moana beach. Most sizes are available. Hire a surf board and / or wetsuit from our trailer when lessons are on at Long beach Robe. Most sizes are available. Learn to Surf with Surf & Sun at one of SA's safest surf beaches - This day tour includes transport to and from Adelaide, 2 x surf lessons with all the equipment at Middleton or Moana beach, lunch and some sightseeing on the way! Join Surf & Sun on a relaxing yet energising Surf Yoga retreat weekend. Enjoy surf lessons, yoga sessions, african drumming lesson, meditation session, accommodation and meals. Join Surf & Sun on a Yorke Peninsula Surf Safari! 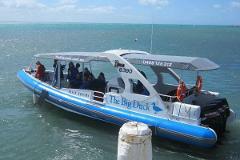 Join this 1 hour boat tour from Victor Harbor! See dolphins, seals, whales (in season) and more. PLEASE NOTE - BEFORE BOOKING MOANA HIRES PLEASE CALL 1800 786 386 TO CONFIRM WHEN WE WILL BE AT THE BEACH. Hire a surf board and / or wetsuit from our trailer when lessons are on at Middleton beach. Most sizes are available.